Whether a child has complex medical needs and disabilities requiring specialized medical care and accessible accommodations, or they need a humane path to asylum and a safe place to live – ALL children belong in their communities with the families who love them. The administration's zero-tolerance immigration policy has resulted in more than 2,000 children being taken from their families and detained. The new executive order does not include reunification of these children with their families, and could even result in the indefinite detention of more children. The trauma inflicted on these children does serious, long-term harm. As parents and caregivers who work hard every day to advocate for vulnerable children, we stand firmly against any policy that hurts any child from anywhere. We're proud to be one of more than 100 organizations partnering with Families Belong Together. In Washington D.C. and in communities across the U.S. there will be hundreds of rallies, vigils, marches, and other events on June 30th to show solidarity with families of immigrants and protest policies that harm them. Find an event near you. Has your legislator spoken out against these inhumane immigration policies, which have been condemned by the UN and called "government sanctioned child abuse" by the president of the American Academy of Pediatrics? If they have, thank them. If they have not, let them know how you feel. Call the Congressional switchboard at 202-224-3121 or use Indivisible's call tool. It connects you with your law makers, provides helpful sample scripts for calls with Republican and Democratic offices, and even allow you to share how the call went. 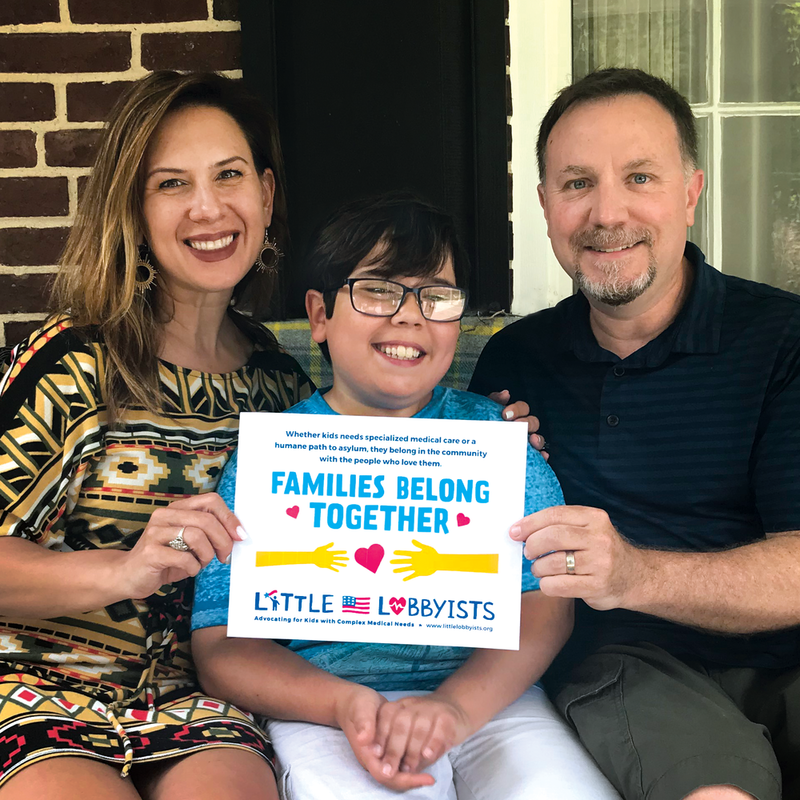 Print this page and take a photo with your family to share the message - FAMILIES BELONG TOGETHER! Share it on social media (you could even make it your profile picture!) and don't forget to hashtag #FamiliesBelongTogether and tag @LittleLobbyists, too! Share your photo, coloring page, or message of support here to be added to the official #FamiliesBelongTogether media feed via tumblr. - Check in with Little Lobbyists on Facebook and Twitter for more updates and actions. - Are you part of an organization you think should join us as a partner? Learn more about how to get involved here.